Twitter one of the best ways to connect - with just about everyone - which is why these Twitter Tips for Participant Engagement will be so helpful. When it comes to your Brand, it's hard to imagine that Twitter is still something of a mystery or maybe a frustration for many when it comes to pure business use and best practices. Maybe it's the rapid fire nature of tweets, the coded language (guide to Twitter talk coming soon), or the limit of 140 characters? I don't know, but let's see if we can help make it a little more fun and friendly for all with a huge list of tips to tweeting and connecting on Twitter overall: Twitter Tips for Participant Engagement. Here are just some of the things to think about and plan for as they will truly benefit your business. 1. Twitter seems to lift the formal nature of communicating. With the character limit messages are more like text messaging than email. The nature of this type of messaging allows for the, unique, opportunity to establish a more personal conversation with your participants. 2. It is far easier to keep your members updated with quick and short posts. We all know content is key, but it takes time to produce, proof, and publish... Tweets dont. 3. Keeps your audience engaged with you and your business. People love their smartphones and Twitter apps are on most, how often do you hear someones phone buzz and they just ignore it? Your tweets keep your message in mind and fresh. 4. There really are few better ways to deliver a quick message, connect with a wide variety of customers as well as companies, deliver timely and relevant messages, and create excitement about benefit enrollment, a new product launch, or a new business. 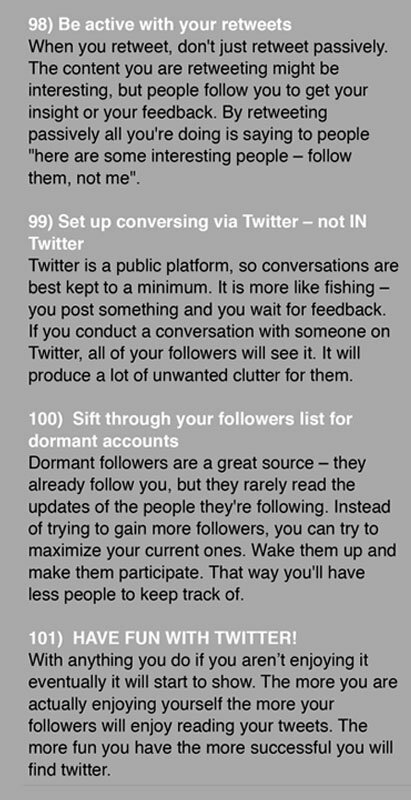 We hope you are finding our Twitter Tips for Participant Engagement helpful. This is quite a list to review and wanted to let you know we appreciate you looking it over. Contact us with any question about any of the Twitter Tips for Participant Engagement. We have published a number of articles about SEO, Social, Engagement, Decentralized Bitcoin Domains, Virtual Reality, and more - be sure to head to our homepage or journal to check them out. Join our update list and get notified as new articles are published.